This is an ultra removable static cling sticker that peels off without a mess. Measuring 3" x 5 1/2" they come 2 per sheet. Just cut as needed. They can be custom imprinted for facilities that want to be the emergency contact. 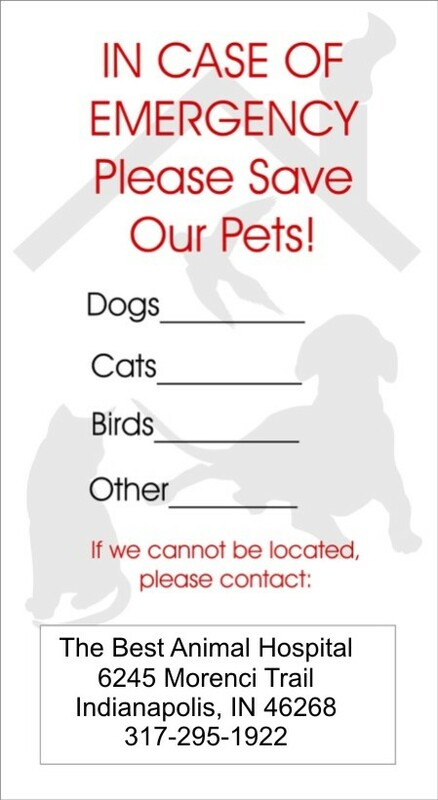 Great way to inform the local emergency crews of homeowners pets. The sticker is white with red & black imprint. 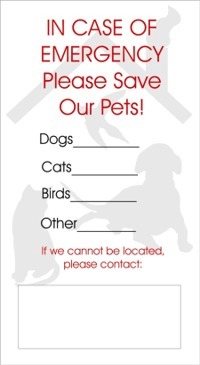 Use a ball point pen or marker to fill in the number of pets and a contact phone number. Have your Facility be the contact. For those facilities that want to be the emergency contact, we offer the option to imprint your information in the white black.